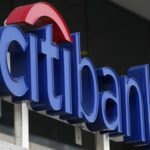 Latest Job Vacancy at Citibank Nigeria Limited for KYC Analyst whose responsibility will be to Prepare client-specific KYC-related analyses and complete Customer Acquisition Due Diligence where required. This Vacant Position is Located in Lagos State and any Applicant that meet the requirements for the Job is expected to carefully follow the application procedure below to Apply for a Job at Citibank Nigeria Limited Online. What are the roles and responsibilities of KYC Analyst? Support the wider EMEA KA team with projects which help the organization meet its regulatory deliverables. What skills and Academic Qualificaations are required for KYC Analyst Job? Knowledge of Citi and Citi KYC systems an advantage. Team Player, able to work in partnership with other individuals on day-to-day and long term projects.